What he meant by this was that for a capitalist economy to be established on this land, a political order first had to be destroyed so that another could be erected in its place. This destruction was at the heart of the foundation of the state of New Zealand as we know it, and its legacy continues to structure the way in which politics is organised here today. A useful hueristic for analysing this situation is Marx’s theory of ‘so-called primitive accumulation’, the term he uses to describe the imposition of the necessary pre-conditions for the establishment of the capitalist mode of production.2 This accumulation is ‘primitive’ because it is at the origin of capitalist production, ‘so-called’ because, as David Harvey points out, the process of dispossession it refers to is continuous and ongoing.3 The key characteristics of this process are the concentration of land and resources in the hands of a small elite, and the corresponding establishment of a class of people who become dependent on selling their wage labour to survive. The continuation of so-called primitive accumulation, which Harvey refers to as accumulation by dispossession, is necessary for the continued functioning of capitalism, which requires the emergence of new markets in order to continue the valorisation process.4 Capital must always grow, and so must always be in motion. Such growth cannot occur within the bounds of an already saturated market, and so more markets must be opened up through the dispossession of what was held in common and its accumulation in private hands. This fairly orthodox account of primitive accumulation sees it as primarily an economic process. While it is, of course, a process driven by the logic of capital accumulation, its continued confinement to the economic sphere ensures that most tellings of this dispossession fail to capture its corresponding political aspects. Simply put, primitive accumulation is not only the accumulation of land, resources and labour, but also the accumulation of the power required to enforce this dispossession. Political philosopher Glenn Coulthard connects the theory of primitive accumulation with an analysis of colonisation in his recent work ‘Red Skin, White Masks’.5 Though his work is written from a Canadian perspective, its conclusions apply equally as well to the colonial context of Aotearoa New Zealand. 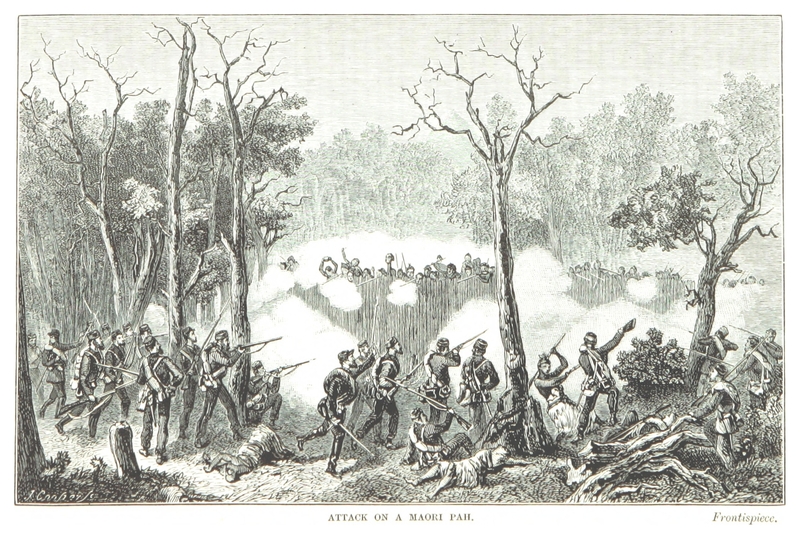 After an initial period of largely peaceful coexistence, European settlers driven by the demands of international capital appropriated Māori lands, began large-scale industrial exploitation of natural resources, and ensured through brutal force that Māori could no longer survive in the manner they had for centuries prior, forcing them instead into wage labour and capitalist production. As we previously noted, however, before these violent economic processes could be put into practice, settlers acting in the interests of capital accumulation had to dispossess Māori of their political power over the land of Aotearoa. This hierarchical model of governance, based on a set of cultural and political ideas common to late medieval and early modern European states, remains dominant today in Aotearoa New Zealand and around the world. Sovereignty is taken as a given by those on all sides of the parliamentary political spectrum, yet political instability rages across a world dominated by sovereign states that continue to relate to their citizens through a politics based on violence. As such, it only makes sense to think again about the foundational principles of the global political order, examine its operating logics, and look seriously at alternatives. In order to do this, we need to be able to define what sovereignty is. The broad definition of a ‘supreme authority within a territory’ encapsulates the key conceptual and material attributes of the sovereign order. This definition works through a double exclusion of forms of governance other than the modern nation-state. By insisting on the presence of a supreme authority that cannot be divided, early modern states, including monarchies, are included in the definition, but states in which powers are split among nobles, princes, the Church and the monarchy are not. Indigenous political orders are excluded for this same reason. The territorial nature of sovereignty excludes claims that are not geographically delimited, such as the endless spiritual powers of the Pope, or other political units whose authority is not strictly associated with a particular piece of land. Sovereignty is based on the absolute power of a single sovereign, which generally takes the form of the state, within certain borders. The merits of this concept were established in the late medieval period, in a feudal Europe swept with political instability. Before this time, such a means of conceiving of political organisation held no sway. Its ascent in a specific historical period implies that it could also recede, leaving the way for another model more in tune with the conditions of the world outside of late-medieval Europe to take its place. In Aotearoa New Zealand, the only other political arrangements that have existed up until this point are those of rangatiratanga. The power of rangatira is that which was dispossessed by British settlers in order to establish a sovereign state and the capitalist mode of production. To deal with this dispossession we can look again to the Marxist tradition, which encourages us to work towards the dispossession of the dispossessors, and to return that which is now held in private to the realm of the commons, for use and access by all. This is perhaps easier to imagine in the economic than the political sphere. What would a political dispossession imply in a colonial context, and to whom would this power return? This is the question Coulthard grapples with in Canada, where he introduces the concept of countersovereignty in order to frame a politics around re-possessing and decolonising political power.9 Though posed in a different way, I wager that this is also the question being asked by the Matike Mai Independent Iwi Working Group on Constitutional Transformation. The report seeks to establish the grounds for a Tiriti-based process of constitutional transformation. In order to do so, Matike Mai propose seven values on which any new constitutional arrangement would have to rest, as identified by participants in their series of hui. These are: tikanga, community, belonging, place, balance, conciliation and structure.12 This system of values is interdependent, each strengthening the others with their individual expressions. Community requires the fostering of a sense of belonging, which can only be pursued through a process of conciliation recognising our mutual connectedness to a place. A constitutional structure is required that is open and fair, which can only be just if it is based on tikanga, rooted in the concept of balance. Matike Mai provide six indicative constitutional models that might accommodate a form of constitutional transformation based on the precedents and values identified in the report.13 The first four of these models are based around the existence of separate ‘spheres’ for Māori and tauiwi governance, termed respectively the ‘tino rangatiratanga’ and ‘kāwanatanga’ spheres, and a ‘relational’ sphere in which tauiwi and Māori deliberate together. The fifth model is composed entirely of the relational sphere, and the sixth of only the tino rangatiratanga and kāwanatanga spheres. A defining characteristic of these models is the particular composition of the relational sphere, which along with the overarching constitution itself, is based on tikanga. The presence of the relational sphere in almost every model almost ensures the position of tikanga as the tūrangawaewae for constitutional arrangements should this process succeed. This radically calls into question the existence of the sovereign state. Indeed, the exceptional nature of the report lies in the fact that it is calling for total transformation, not just limited iwi self-government or minimal acknowledgement of Te Tiriti in an otherwise European-style constitution. 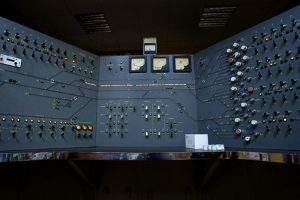 Sovereignty is based, from the beginning, on the absolute decision making power of the sovereign within a defined territory.14 In a political order based on tikanga, without clear borders between different powers, and with dispersed and autonomous political units, the sovereign order would be incapable of functioning as we know it. In fact, such a situation is more closely analogous to that in which the theory of sovereignty was developed, wherein power was allotted unevenly between church, nobility, and crown. This does not mean to imply that the implementation of such a situation in Aotearoa New Zealand would result in a world reminiscent of feudal Europe. Rather, it means that rangatiratanga, as a system for asserting ‘an absolute authority… to define, protect and decide what was in the best interests of our people’ can be established, with the essential precondition that ‘independence is only real when it depends upon the interdependence one has in relationships with others’.15 This qualification makes such a project mutually exclusive with the nature of political organisation necessitated by the sovereign concept of power. But the end of sovereign power could be the beginning of an emancipatory future. The history of sovereignty in Aotearoa New Zealand is written in letters of blood and fire. Sovereign states today are similarly violent, based as they are on the power of the sovereign to decide over life and death in a particularly twisted logic.16 With this in mind, and tikanga at the core of Matike Mai’s proposals, it is relevant to ask what the previously existing political system of this country, rangatiratanga, looks like. Hapū independence is tempered, as is the autonomy of individuals and families within hapū, by an obligation to act in the best interests of the wider social grouping. This obligation does not imply a lack of disagreement, as individuals and hapū often have differing ideas over what this means. As Metge notes, the obligation of whānaungatanga ‘provides for the integration of parts with different and even conflicting features into a greater whole… disputes and factionalism are not breaches but the very stuff of Māori community life’.19 Despite the ability for dissensus and disagreements to emerge, whanaungatanga ensures the predominance of decisions made with the consent, active or implicit, of neighbouring hapū. The contemporary world varies greatly from the world of the 18th Century, and so rangatiratanga may look very different today. Jackson argues the consensual nature of Māori decision-making, enhanced by the cultural values shared by all of the decision-makers and tikanga’s openness to interpretation is relevant in the contemporary environment.25 By holding true to the core axioms underpinning tikanga; whakapapa, manaakitanga and balance, amongst others, rangatiratanga (a system based on the putting into practice of these axioms) is able to develop to meet the changing needs of people in different contexts and situations. As Nuki Aldridge describes in the context of Ngāpuhi, ‘in the face of a new situation, the old people would meet and work out from the principles that guided their social and environmental relationships what the rule or code of behaviour was meant to be’.26 Such situations show the adaptability of tikanga as a system of law that doesn’t offer binding precepts but guidelines and axioms to be interpreted. Such a world is not just an imagined utopia. It has existed, and in isolated ways its logic continues to structure communities up and down this country. While the Matike Mai report limits itself to suggesting that rangatiratanga is an appropriate concept of power for governing Māori, there is no inherent reason why a similar logic could not be implemented to order a qualitatively different tauiwi state. For tauiwi, this logic may follow slightly different axioms, given the differences in culture and beliefs within and between Māori, Pākehā, and the other residents of New Zealand. This does not mean such a project is unfeasible. If and when Matike Mai’s countersovereign project succeeds, Pākehā and tauiwi will be left with a state bereft of sovereignty, wanting for a new concept of power. Such a state would likely already be premised on tikanga through the operation of the relational sphere, and so would require a system amenable to the basic principles of rangatiratanga. Why not look, for a foundation, to a political philosophy native to this land to accomplish this task? Returning political power to Māori does not mean disempowering everyone else. Rather, constitutional transformation of the sort advocated by Matike Mai challenges the people of this country to think about how to change our political system for the better, for all New Zealanders. Rather than reproduce the day-to-day of sovereign power and colonial subjugation, they have opened the possibility of innovation and radical change while recognising the ancient laws of this land. Whether Pākehā, tauiwi or tangata whenua, we don’t need to look only to Europe for our models of politics and society. Instead, there exists an opportunity to think from where we are, to create something new out of the old, and to use the power of the past to inform the politics of the future. To reverse the process of primitive accumulation, and bring about a world in which the possibility of justice can be achieved for all, constitutional transformation as advocated by Matike Mai must be pursued to its fullest extent. Political power was taken in Aotearoa/New Zealand to ensure the possibilities of establishing the capitalist mode of production. The effects of seizing and reapportioning this power would surely not be limited to the political sphere, and might similarly mark the way for the establishing of an altogether different economic system. 1 Ranginui Walker. ‘The Treaty of Waitangi as the Focus of Māori Protest’, in I. H. Kawharu ed. Waitangi: Māori and Pākehā Perspectives on the Treaty of Waitangi. Auckland: Oxford University Press, 1989, p. 264. 2 Karl Marx. Capital: A Critique of Political Economy, Volume One. London: Penguin, 1992, pp. 873-942. 3 David Harvey. ‘The “New” Imperialism: Accumulation by Dispossession. Socialist Register vol. 40 (2009): 63-87. 5 Glenn Coulthard. Red Skin, White Masks: Rejecting the Colonial Politics of Recognition. Minneapolis: University of Minnesota Press, 2014, pp. 7-15. 6 Huia Tomlins-Jahnke. ‘Colonial Theories of the State: Māori/State Relations’ in Huia Tomlins-Jahnke and Malcolm Mulholland ed. Mana Tangata: Politics of Empowerment. Wellington: Huia Press, 2011, p. 4. 8 Ingrid Huygens et al. Ngāpuhi Speaks. Whangarei: Network Waitangi Whangarei, Te Kawariki, 2012, p. 100. 9 Geoff Mann. ‘From Countersovereignty to Counterpossession’ Historical Materialism vol. 24 no. 3 (2016): 45-61. 10 Matike Mai. The Report of Matike Mai Aotearoa – The Independent Working Group on Constitutional Transformation. (2016), p. 3. 11 Moana Jackson and Helen Potter. ‘Constitutional transformation and the Matike Mai project: a kōrero with Moana Jackson’. 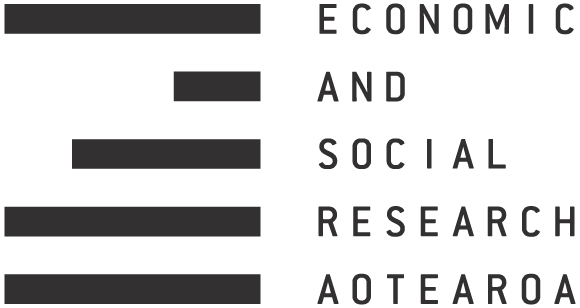 Economic and Social Research Aotearoa 8 (2018): 1-10. 12 Matike Mai. The Report of Matike Mai Aotearoa – The Independent Working Group on Constitutional Transformation. (2016), p. 68. 14 Jean Bodin. Six Books of the Commonwealth. Oxford: Oxford University Press, 1985. 15 Matike Mai. The Report of Matike Mai Aotearoa – The Independent Working Group on Constitutional Transformation. (2016), p. 112. 16 Giorgio Agamben. Homo Sacer: Sovereign Power and Bare Life. Stanford: Stanford University Press, 1998. 17 Peter Buck. The Coming of the Māori. Wellington, Whitcomb and Tombes, 1950, p. 332. 19 Joan Metge. Rautahi: The Māoris of New Zealand. New York: Routledge, 2010, p. 71. 21 Angela Ballara. Iwi: The Dynamics of Māori Tribal Organisation. Wellington: Victoria University Press, 1998. 22 Ani Mikaere. Māori Critic and Conscience in a Colonizing Context – Law and Leadership as a Case Study. Paper presented at the 27th Annual Conference of the Law and Society Association of Australia and New Zealand, 10 December 2010. 24 Angela Ballara. Iwi: The Dynamics of Māori Tribal Organisation. Wellington: Victoria University Press, 1998. 25 Moana Jackson. ‘It’s Quite Simple Really’ Yearbook of New Zealand Jurisprudence, vol. 10 (2007): 32-42. 26 Nuki Aldridge in Ingrid Huygens et al. Ngāpuhi Speaks. Whangarei: Network Waitangi Whangarei, Te Kawariki, 2012, p. 105. 27 Elsdon Best. The Māori As He Was: A Brief Account of Māori Life As It Was In Pre- European Days. Wellington: Dominion Museum, 1934, p. 91. 28 Ani Mikaere. Challenging the Mission of Colonisation: A Māori view of the Treaty of Waitangi and the Constitution Paper presented at the Liberty, Equality, Community: Constitutional Rights in Conflict Conference, Auckland, 20-21 August 1999. 29 Ani Mikaere. ‘Three Million Strikes and Still Not Out: The Crown as the Consummate Recidivist’ in He Rukururu Whakaaro: Colonising Myths, Māori Realities. Wellington: Huia Press, 2012, p. 199. Ben Rosamond is an activist, researcher and union official based in Tāmaki Makaurau. His research to date has focused on revolutionary strategy, the place of sovereignty in relation to other models of political organisation, and contemporary critical theory. He is also the National Secretary of Organise Aotearoa, a newly-formed group fighting against capitalism and its symptoms in Aotearoa/New Zealand, with the hope of building a better alternative.